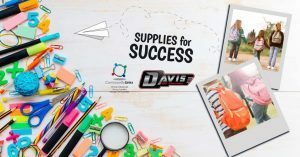 Davis Chevrolet Thrilled to Partner with Bully Prevention program. Davis has been a proud supporter of local anti bullying initiatives since our conception. We are thrilled to be able to bring the Dare to Care Program to Airdrie and local Rockyview schools. 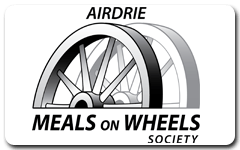 In 2018 we donated $3000 to Airdrie Meals on Wheels through the Christmas season when the need is at its greatest. In 2019 we will be donating a meal with every vehicle purchase as part of our ongoing support for this community program. 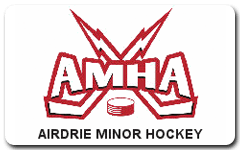 Davis Chevrolet has donated $3000 towards Teams and programs in Airdrie. Davis Chevrolet is proud to have sponsored the Buick Test Drive for your Students event at a local school to raise much needed funds. In the past two years we have been able to raise $17,000.00 for a local high school. 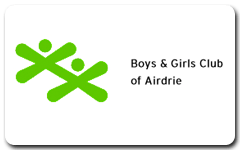 Boys & Girls Club; In the past Davis has contributed annually to the Boys & Girls Club of Airdrie supporting them through our recycling program, charity car wash events as well as our Canada Day BBQ. We are also proud to now sponsor their annual Dine for a Difference gala! 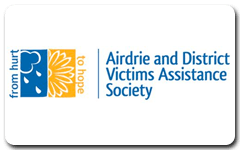 Airdrie and District Victims Assistance Society is a non-profit, volunteer based organization that provides 24 hour crisis response and support to victims of crime and/or tragedy through the RCMP. 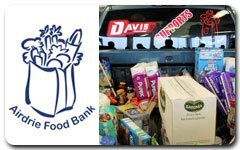 To support this cause, Davis Chevrolet donates $2,000 annually. Rotary Club; Davis Chevrolet is a Hole-In-One Sponsor for the annual golf tournament in September. 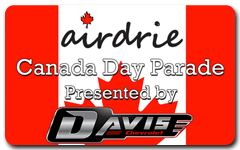 Canada Day parade; Davis Chevrolet is the Presenting sponsor of our communities Canada Day parade, eh! 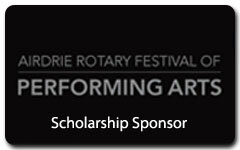 Davis Chevrolet is proud to sponsor the Patron of the Arts Award for $2000 annually. 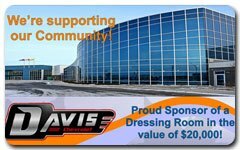 Through ARRES (Airdrie Regional Recreation Enhancement Society), Davis Chevrolet sponsored a Dressing Room in the value of $20,000 for the New Genesis Place Twin Arenas. The annual Rooftop Campout, Airdrie Firefighters ascend to the rooftop of Boston Pizza and stay for several days in support of Muscular Dystrophy Canada. Funds raised are used to improve the quality of life for people living with neuromuscular disorders by purchasing mobility equipment, providing support services, and funding research which will one day lead to a cure. 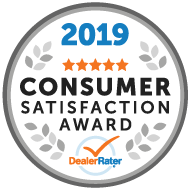 Davis Chevrolet is a Bronze sponsor for this event and donates $1000.00 annually. 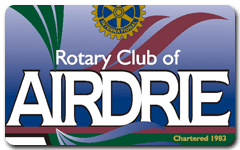 Davis Chevrolet is proud to support our local Rotary Club which is committed to the support of worthwhile projects and causes for the citizens of Airdrie, surrounding area as well as internationally. 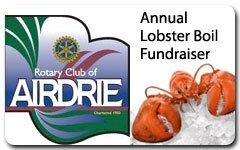 Annually, the Rotary Club of Airdrie presents their Lobster Boil fundraiser. Davis Chevrolet was the Lobster Sponsor and supplied the BBQ for cooking. 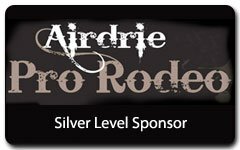 Our very own Airdrie Pro Rodeo runs annually in Late June early July, where World and Canadian Champions are part of the high number of contestants. It is one of the top 10 professional rodeos by payout in Canada. Airdrie has had an annual Rodeo since 1967 and Davis Chevrolet is a proud Silver Level Sponsor and contributes $3600.00 annually. Every December we fill pick up trucks for the local Airdrie Food Bank. In 2014, we managed to beat our record of the past two years, filling TWO full pickup trucks with non-perishable items. In 2015 our contributions came to approximately $9,000, a new record! and we continue to donate $3000.00 annually. 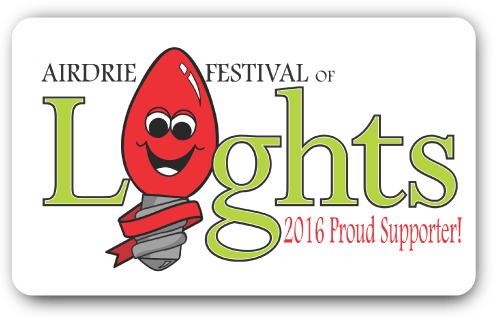 Airdrie Festival of Lights is one of Canada’s Top 10 Holiday light shows as chosen by the travelexperts.ca. We are a proud Santa Transportation sponsor and have a Davis Chevrolet Truck with full decals on location throughout the display!! As well we are proud to contribute $5000.00 annually to support this community event. Davis is proud to support Airdrie Slam in support of Guitars for Vets. By sponsoring and promoting the Slam Benefit Concert Series for Guitars for Vets Canada Featuring Rock Legend Sass Jordan and Christian Hudson. We are proud to contribute $1500.00 annually to this great event. Now in its 17th year the car show is the club’s biggest fund raiser. All funds raised through the show are donated to local charities. Last year the show raised $15,000 and local charities who have benefited from this in the past include the Airdrie Food Bank, The Boys and Girls Club, Canadian Tire Jump Start, Tails to Tell Animal Shelter, Alberta Institute for Wildlife Conservation, Airdrie Lioness, MADD, Airdrie Hospice Society, Airdrie and District Victims Assistance and Veterans Food Bank. We are a member of the Chamber and our GM is the 2018 President of the Board of Directors. 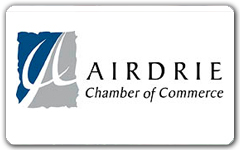 Our hallmark event with the Chamber is our Business after Hours held in September/Oct annually. We also sponsor their annual golf tournament as well as one of their monthly speaker luncheons. There isn't a more deserving organization when giving back! 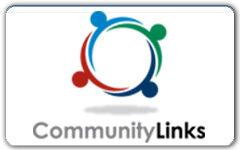 We have been involved with Community Links since we came to Airdrie and recently agreed to an annual sponsorship of $3000.00 which is used towards their general operating expenditures. 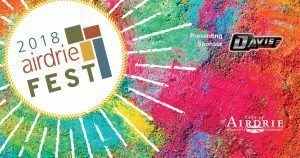 Davis Chevrolet is a proud Presenting Sponsor of Airdrie Fest and Music on Main. 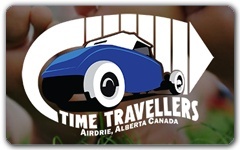 Airdrie Fest is a street festival that features everything Airdrie has to offer, from retailers, businesses, Services, programs, and community initiatives, along with Food, Vendors and Music. 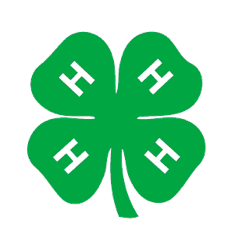 Davis Chevrolet proudly supports this community club by attending their annual club auction and purchasing livestock from their program.